How Important is Data in Education? The speed of change in the world of data is astounding. It can be overwhelming. In education, new apps and methods proliferate. Test data abound. Even if one were to disregard the sheer quantity of information added each day, our psychological ability to integrate all the data diminishes as the quantity of information increases. It is an inverse relationship that can slowly erode our sense of agency and control. Big Data hopes to ride into the rescue by providing analysis of the vast troves of assessment and demographic data available on student learning. The educational data tools can be extremely useful in unearthing patterns, but only if (1) we ask the right questions about student learning, and (2) we then follow it up with effective instruction. 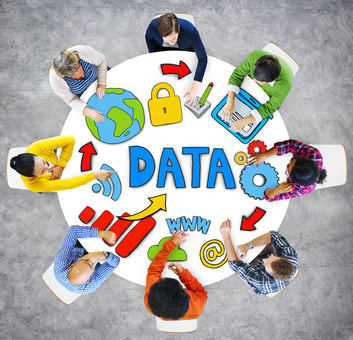 The ultimate goal of data tools in education is to provide a superior learning experience. To that end it is critical to understand that data analysis is only as good as the validity of its underlying constructs. One such construct is: student achievement = learning. The underlying premise is that learning can be adequately assessed through various tests. The sum total of these performance measures are labeled “achievement.” This is where it gets sticky because of the desire to make tests objective. As a result, they are reductive. They test the lowest common denominator of recalled knowledge, typically with multiple choice questions that have one right answer. Who provides the data concepts that underlie the algorithm? Where does educational purpose originate, and as teaching professionals, do we have the right to challenge the relevance or importance of those concepts? How do we teach them to master what they need to know? I wonder if we are giving up our decision making to others too readily. In other words – vis a vis Bloom’s Taxonomy – we are failing to analyze because we are so busy remembering, understanding and applying an overwhelming amount of information, objectives and directives. The key to understanding (and perhaps to survival) is to organize what we know into meaningful chunks of information. It also helps solves the problem of information overload by lessening the number of facts we have to juggle. All of this aligns with the common core shift toward deep learning and close reading. Never forget that we are at the helm of our ship, and we determine direction.